Are you serious about running your own kitchen business? Do you want to join the biggest name in its sector, and benefit from award-winning training and support? Do you want to earn a six-figure income (some franchise owners have achieved that by year two, lots of others by year three)? If you are motivated, resilient and comfortable in a managerial role – and you have liquid capital of at least £30,000 to kick start your new business – the Dream Doors team would love to hear from you today. 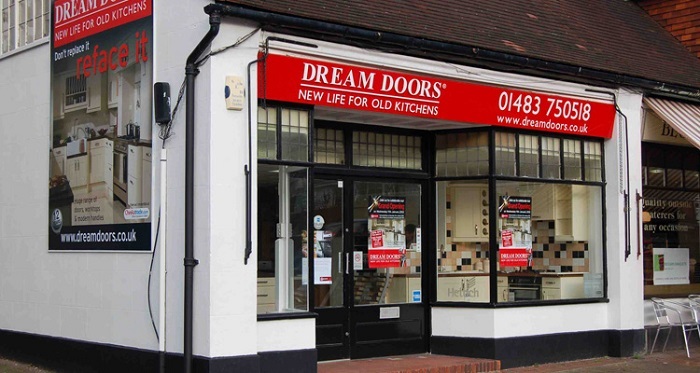 Dream Doors is the UK's largest and most successful kitchen facelift retailer. The Dream Doors concept is based on improvement not replacement. Swapping existing kitchen doors, drawers, appliances, sinks or worktops provides totally flexible opportunities for your customers to achieve that new-look kitchen without the expense and upheaval of a full kitchen refit. There are more than 75 showrooms nationwide, giving us a solid base and great brand name, but with plenty of space for more outlets and further UK franchise opportunities including throughout Scotland. No kitchen experience is needed as you never have to fit a kitchen. Instead, Dream Doors helps you find the perfect kitchen installation team, who will typically work for you on a sub-contracted basis. That means you can focus on what you do best – meeting customers and running your business. 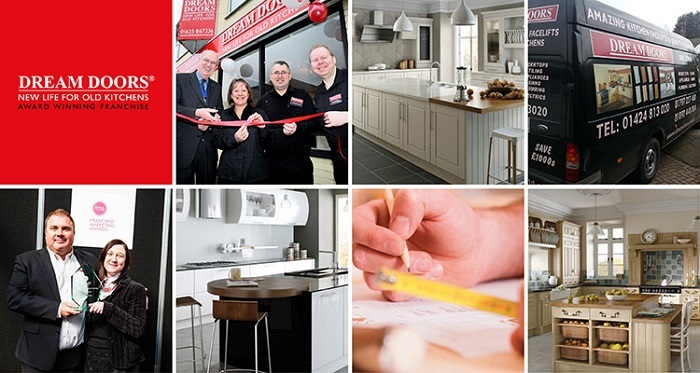 Working from home to begin with, you'll be managing your own Dream Doors showroom in Scotland within six months. We will help and support you in developing your own showroom to allow you to display a vast range of kitchen products for your customers. Average annual sales from a franchised showroom is now £500,000. With your commitment and determination, and our proven business model, you can achieve more than £1million in yearly turnover and earn a healthy six-figure income. Dream Doors Scotland currently has franchisees in North and South Glasgow, Lanarkshire and West Edinburgh. We have territories available throughout the rest of Scotland, all of which are determined by postcode. The key Scottish areas are Aberdeen, Dundee, Falkirk, Inverness, Kilmarnock, Paisley and Perth. We are wanting to build on our current success in Scotland with the recruitment of like-minded individuals to join our team. If you think you have what it takes, please contact us today.